I saw a series of unrelated tweets and Facebook statuses which got me thinking about New England…again. When Christ came to America, it was to a region later known as New England. In 1620 the Pilgrims actually landed at Provincetown, not Plymouth. They anchored and 2 weeks to long-boat around the area to scout a suitable harbor and settling spot. That ended up being Plymouth, and they later expanded to Boston and Cambridge. The Puritans later spanned out across the region, bringing Jesus with them. The reason they left Holland and England was to find a place where they could worship in peace, and they came here to do so. The fire was in their belly and Jesus was in their heart and evangelism was on their mind. With that, by 1636 they had begun a College, established for the express purpose of educating young men in Christian ways and doctrine, so as to become godly leaders of families and good witnesses to the natives for His name. That University was Harvard. Princeton and Yale soon followed. With some 17,000 Puritans migrating to New England by 1636, Harvard was founded in anticipation of the need for training clergy for the new commonwealth, a “church in the wilderness.” Harvard was formed in 1636 by vote of the Great and General Court of the Massachusetts Bay Colony. It was initially called “New College” or “the college at New Towne”. In 1638 the school received a printing press‍—‌the only press in North America until Harvard acquired a second in 1659. New Light Presbyterians founded the College of New Jersey, later Princeton University, in 1746 in order to train ministers dedicated to their views. Yale was founded in 1701 in Saybrook Colony to train Congregationalist ministers. 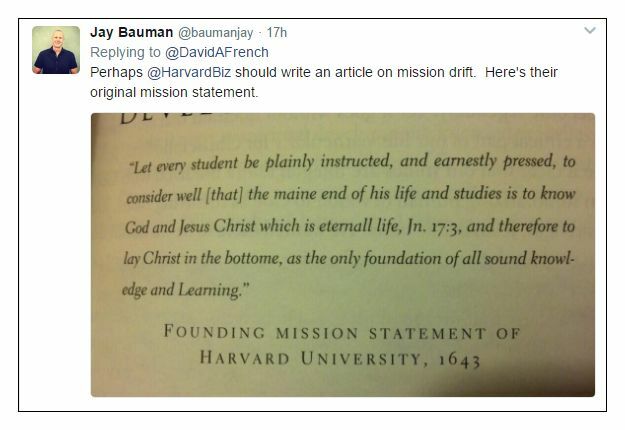 Let every Student be plainly instructed, and earnestly pressed to consider well, the maine end of his life and studies is, to know God and Jesus Christ which is eternal life (John 17:3) and therefore to lay Christ in the bottome, as the only foundation of all sound knowledge and Learning. And seeing the Lord only giveth wisedome, Let every one seriously set himself by prayer in secret to seeke it of him (Prov. 2:3). Every one shall so exercise himselfe in reading the Scriptures twice a day, that he shall be ready to give such an account of his proficiency therein, both in Theoreticall observations of Language and Logick, and in practical and spiritual truths, as his Tutor shall require, according to his ability; seeing the entrance of the word giveth light, it giveth understanding to the simple (Psalm 119:130). The motto of the University adopted in 1692 was “Veritas Christo et Ecclesiae” which translated from Latin means “Truth for Christ and the Church. The U.S. has become notably less Christian in the last few years, but the shift has come unevenly, with New England and the Pacific Northwest at the leading edge of the social transformation and the South holding fast to more traditional religious beliefs. Among the 10 states with the largest percentage of adults who profess no religion, New England has four — Maine, New Hampshire, Vermont and Massachusetts — and the other six are in the West, according to a major new study by the Pew Research Center. Which is all very sad, but not surprising. After the first wave of original apostles, do we hear much about the churches there? Is there a church at Sardis? Corinth? By the time John was an aged man, Jesus gave the Revelation to him and several of the 7 churches in Asia Minor received no commendation from Jesus at all. They were charged with coasting on reputation, having their love for Him gone cold, of allowing false prophetesses to flourish uncorrected, and worse. 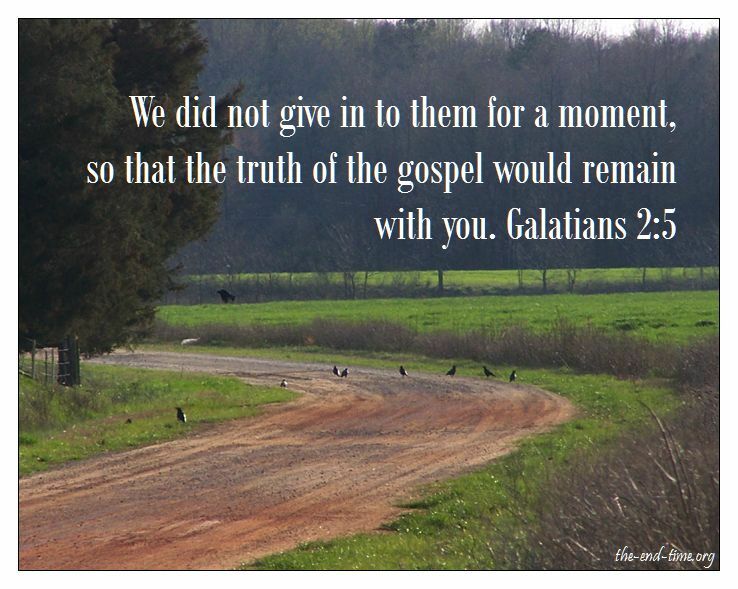 And that was just within the lifespan of one apostle. After nearly three hundred years, of course if left unchecked, or if compromise had proceeded unaddressed, the churches of New England would falter and die. Here are some interesting articles about New England’s decline in fervor for Jesus. Harvard, Yale, Princeton, Oxford—Once Christian? The cracks first appeared in the late 1700s and early 1800s, culminating with the influence of Charles Lyell’s three volumes of Principles of Geology in the 1830s. Belief in an old-earth seriously wounded widespread acceptance of the Flood and the biblical chronology, and Lyell just “finished off the victim and nailed the coffin shut,” as AiG historian Dr. Terry Mortenson says. This old-earth belief permeated universities by the mid 1800s, setting the stage for Darwin’s evolutionary model in 1859 (Origin of Species) and his later work on human evolution The Descent of Man (1871), both of which required long ages. After Christian universities adopted these compromises, the slide from biblical Christianity to naturalism soon followed. No matter where we are in the world, spiritual decline is inevitable. Fear not! The world hates Jesus. (John 15:18). No matter what the type of beginning a nation had, high or low, sacred or profane, all will fall. All parts of all nations will fall. Satan is working mightily to try and overthrow heaven’s gates. The areas we hold dear, where we grew up, or where we live now, will some day be renewed! Every Christian who dwells in the places that are so dark now, will cry with joy when the Light comes. Jesus will revive every ember, bursting into glory light of pure and holy truth. Until then, pray for New England. Pray strongly. Stay with Christ. Cling.